SAN FRANCISCO — Google has a dizzying array of names for its various of products and services. The company this week added another moniker when it rebranded its enterprise cloud business as "Google Cloud," which now encompasses all of Google's business cloud services. Google's affinity for changing and adding new names didn't end there. Google for Work, which is part of the new Google Cloud, received its second name change in as many years, to "G Suite." 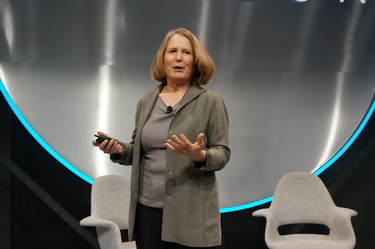 Diane Greene, senior vice president of Google Cloud, said the rebranding and repackaging will help the company organize its efforts around cloud computing, which she calls "the biggest IT transformation ever." The move could also help Google ramp up pressure on enterprise-cloud leaders, Amazon and Microsoft. Google Cloud chief Diane Greene speaks at a company event in San Francisco on September 29, 2016. "We've got well over 10,000 engineers working on this," including more than 600 who specialize in security, Greene said at a Google enterprise event in San Francisco on Thursday. "Google was started in the cloud. Google was built for the cloud." Google Cloud already has a billion active users, and 2 million businesses currently pay for G Suite and its family of apps, which includes Gmail, Docs, Drive and Calendar, according to the company. Google invested $9.9 billion in its cloud business last year and plans to invest another $12 billion by the end of 2016, said Urs Holzle, senior vice president of technical infrastructure at Google Cloud. The company's 2015 investment was "just shy of Amazon or Microsoft if you add them together," he said. Google says it's also baking more AI and machine learning into G Suite apps. For instance, the company introduced a new feature in Drive, called "quick access," that "uses your activity patterns to predictively serve up to you the file that you need," said Prabhakar Raghavan, vice president of Google Apps. "Explore," a new feature in to Docs, Sheets and Slides, automatically applies formulas to company data based on common queries from users. A retailer that wants to determine top-selling items on black Friday might use Explore, for example, according to Google. Customers in Google's early adopter program also get access to "Team Drives." The new offering is designed to help businesses "get away from the notion that content is owned and managed by individuals," Raghavan said. "We need to think of teams as first-class citizens and how they go about doing their work every single day." All of these new cloud enhancements mean Google must open more data centers. The company plans to set up new locations in Virginia, London, Mumbai, Singapore, Sydney, Sao Paulo, Frankfurt and Finland in 2017. "When you sign up to the cloud, it's a long-term bet," Greene said. 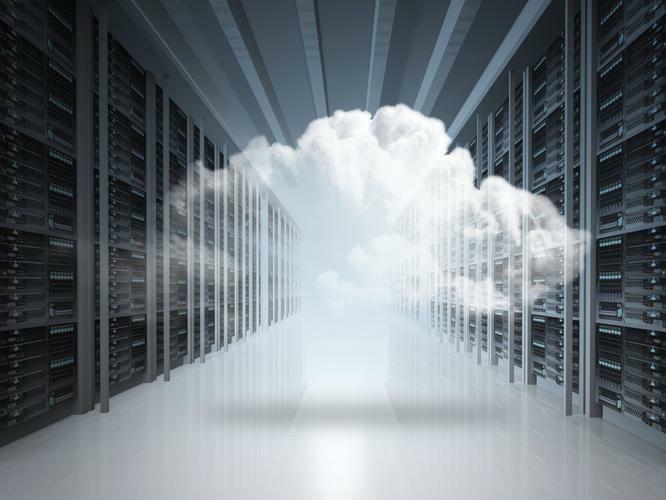 "We're building a different type of cloud" by "moving away from virtualized hardware to scalable services and scalable data," Holzle said. "What used to be a purchase order now becomes an API call." Those changes transform how people use and manage IT, he said.